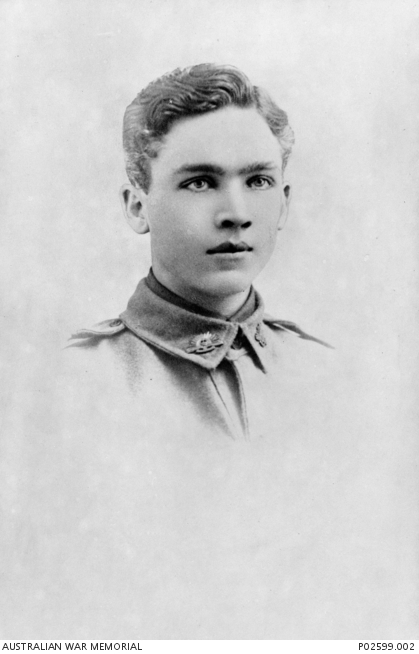 Studio portrait of 6360 Private (Pte) Herbert Augustine Kelly, 20th Battalion, of Leichhardt, NSW. A clerk in civilian life, Pte Kelly enlisted on 16 October 1916 and was killed in action on the Menin Road, Belgium, on 20 September 1917. This portrait is one of a number displayed on a photo montage made for the department store Anthony Hordern and Sons Ltd, Sydney by the returned soldier and sailor employees of the company. It commemorated 46 of the company’s 48 employees who died as a result of their service in the First World War.